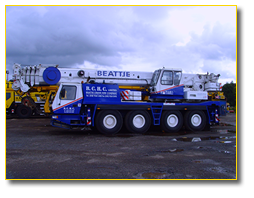 Beattie Crane Hire Company Limited was started in 1977 and incorporated Robinsons Crane Hire in 2005 to now provide over 30 cranes for use in construction and industry throughout Northern Ireland and the Republic of Ireland 24 hours a day. 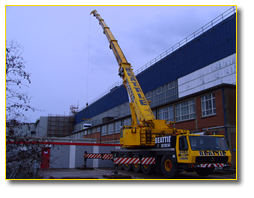 Our experienced staff will visit your site to provide a free survey and quotation before any work takes place and you can be assured that Beattie Crane Hire Ltd provide the best and most comprehensive service in the industry today. 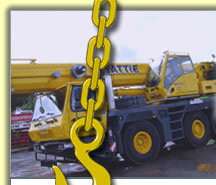 Beattie Crane Hire provide cranes 24 hours a day throughout Northern Ireland and into the Republic of Ireland, we regularly assist the emergency services in recovery of large vehicles that have been involved in traffic collisions and provide an efficient 24 hour emergency callout service. 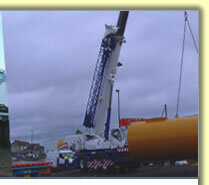 In 2005 we incorporated Robinson Crane Hire, this gave us the opportunity to have a central Belfast Crane Depot in the Titanic Quarter as well as our main Depot in Lisburn. Our multiple locations mean that we can easily provide crane hire to Greater Belfast, Antrim, Portadown, Armagh, Bangor and throughout all of Northern Ireland.